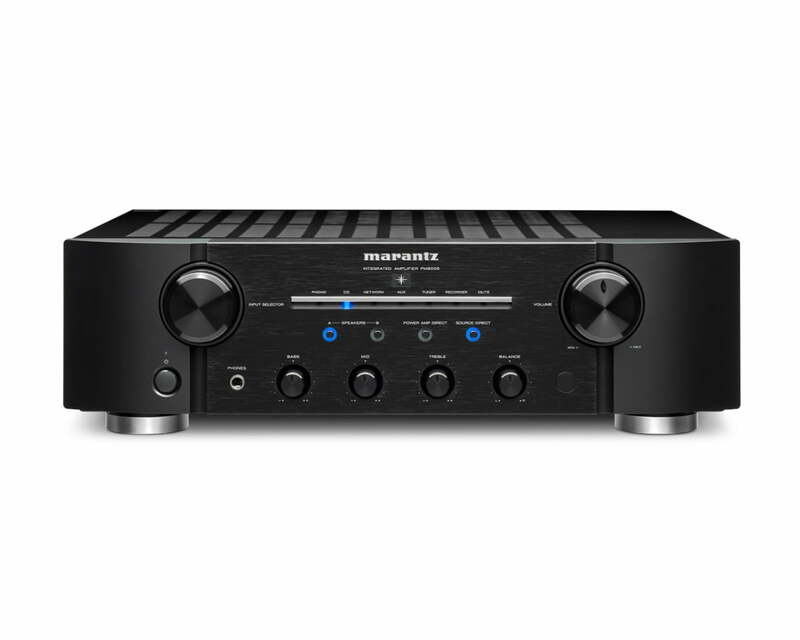 The Marantz PM8005 features our exclusive HDAM (Hyper Dynamic Amplifier Module) technology, which consists of precision discrete selected circuit elements on a compact sub-board, instead of conventional op-amp integrated circuits. Multiple HDAM units are employed, including HDAM-SA3 and HDAM-SA2 versions that provide gain and buffering functions, to deliver dynamic and detailed sound quality. The PM8005 features current feedback technology for ultra low distortion and wideband response, along with superb musicality. The PM8005 is equipped with multiple high speed, high current power output devices that are each rated at 14 amps of current output capability, providing a very high amount of dynamic headroom, along with compatibility with lower impedance loudspeakers. For optimum heat dissipation, the PM8005 is equipped with solid aluminum power amplifier heat sinks, with a combined total radiating area of 326 square inches, eliminating the need for fans. 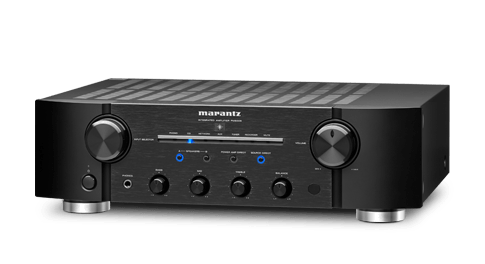 The Marantz PM8005 is conservatively rated at 70 watts per channel into 8 ohms, and 100 watts per channel into 4 ohms, for compatibility with the widest range of loudspeakers. 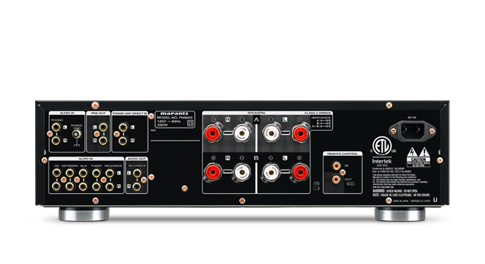 There are 6 line level inputs, to handle a wide range of sources, including a dedicated phono input (MM) that features discrete topology to deliver the utmost fidelity from your favorite vinyl recordings, and all inputs and outputs are gold-plated for optimum signal transfer. 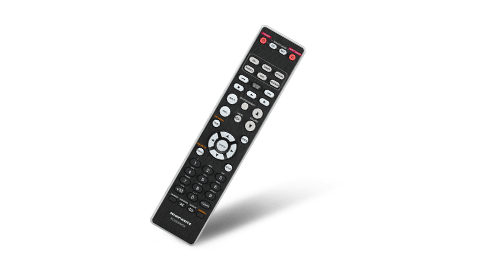 The Source Direct function bypasses unnecessary circuit blocks for the straightest path from input to the speaker terminals. Pre-amp outputs let you connect a separate stereo power amplifier for a bi-amp loudspeaker system, or for playback in a separate room. 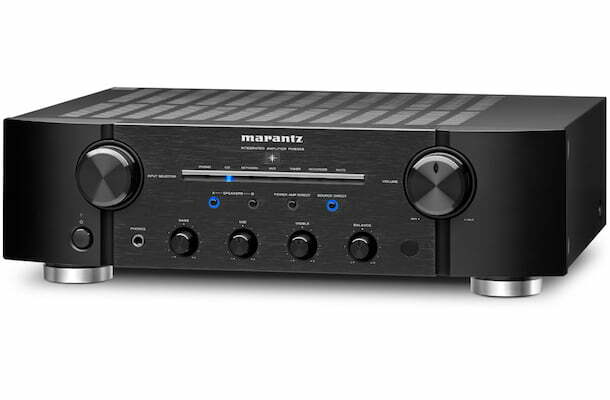 The power amp direct input lets you connect the Marantz PM8005 to another component, such as a surround sound processor, for integration within a multi-channel home theater system. 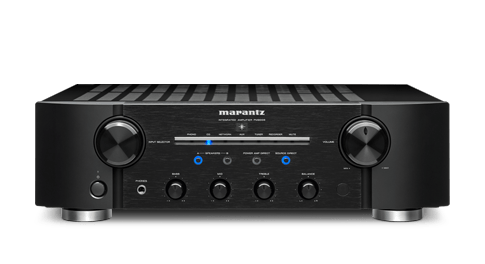 The Marantz PM8005 integrated amplifier is backed by a limited three-year warranty.